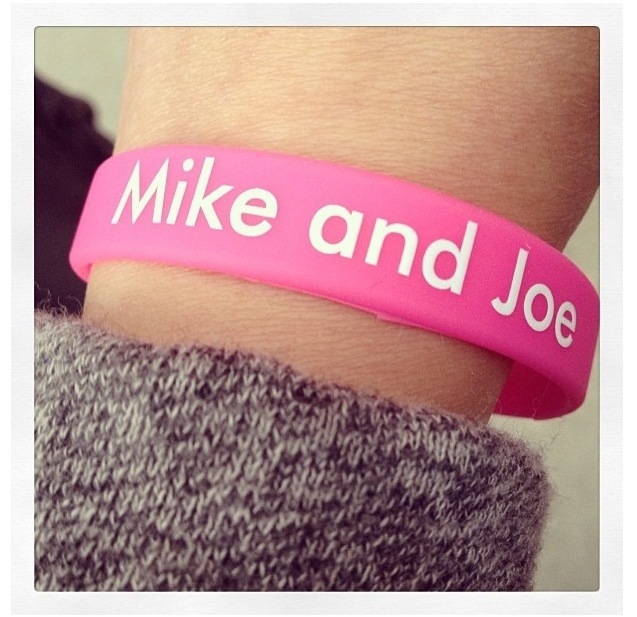 The hubs and Chad talk about Mike and Joe like everyone who went to the University of Illinois knows who they are. Like most people in Chicago of a certain age (read early to mid 30’s) worship these cover band gods. This may be true but only because Mike and Joe allow these Illinoisans to cling to their music the way they cling to their college years and lost youth. So you can imagine my disappointment when the legends themselves played at the Southport Festival to a crowd of only 100 or less. Though there were some definite rockers of the early 90’s reliving senior year of high school through this duo’s soothing covers of DMB and Third Eye Blind (the hubs and Chad included). Ok, fine. I was totally jamming out as if my high school boyfriend was introducing me to Weezer all over again. Playing The Sweater Song is what did it for me Mike and Joe.